Good Evening Flower Lovers !! 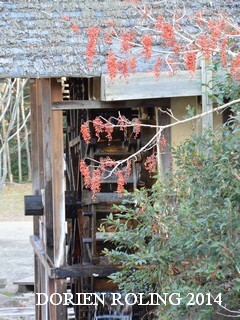 Photo; Water mill in the park. forwards meeting the students again. 4 January 1990 - 4 January 2014 〜　24 year ago I arrived at Narita airport and I felt like coming HOME !!! THANK YOU ALL! !